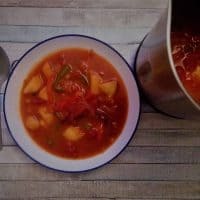 This Spanish potato soup recipe is based on one of my favourite Spanish dishes, patatas bravas. 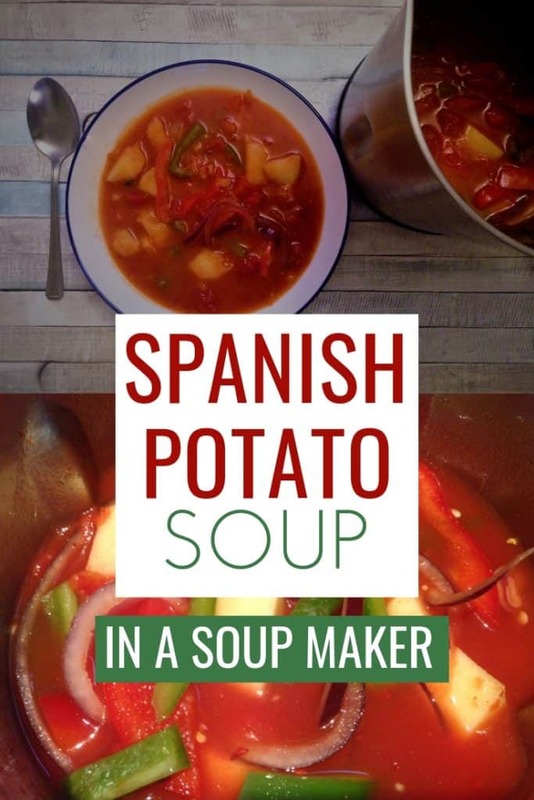 I’ve adapted it to be made as a chunky soup, with all the tastes you’d expect with fresh peppers, chillies, paprika and of course potatoes. 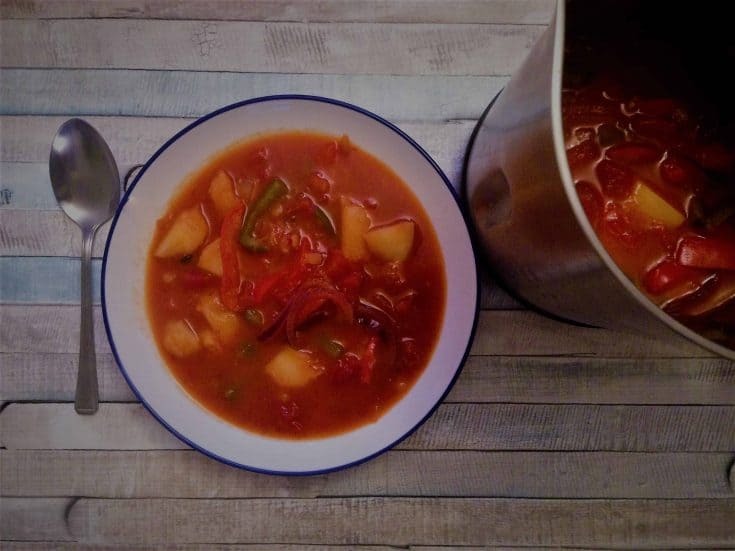 This soup was made in my Morphy Richards soup maker but it can be adapted to any other soup maker or cooked in a pan on the stove. I hope you enjoy this soup as much as I did! If you would like to join some soup maker fans I have a Soup Maker Recipes page over on FB. We’d love to see you there 🙂 And as always, if you have any questions please do not hesitate to get in touch in the comments. Add all the ingredients to the soup maker. *When I am using tinned tomatoes (or passata) I tend to add that last so that it has no chance of sticking to the bottom and burning. It's never happened to me yet but I've heard that it can happen. Add the vegetable stock, taking care not to go over the MAX line. If required, top up to the MIN line with hot/veg stock water. Mix the ingredients around thoroughly and place the lid on the soup maker. Select the 'chunky' setting. 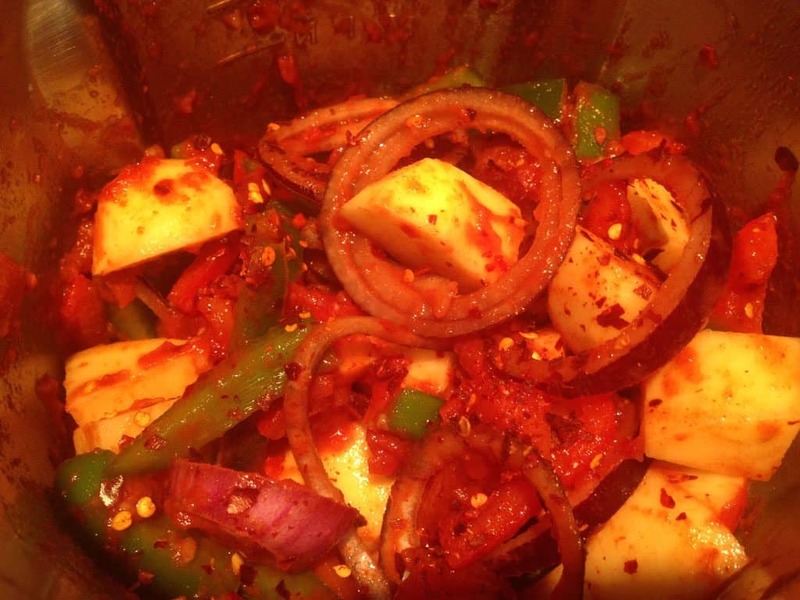 Tip: For a little extra kick, add an extra teaspoon of crushed red chillies.